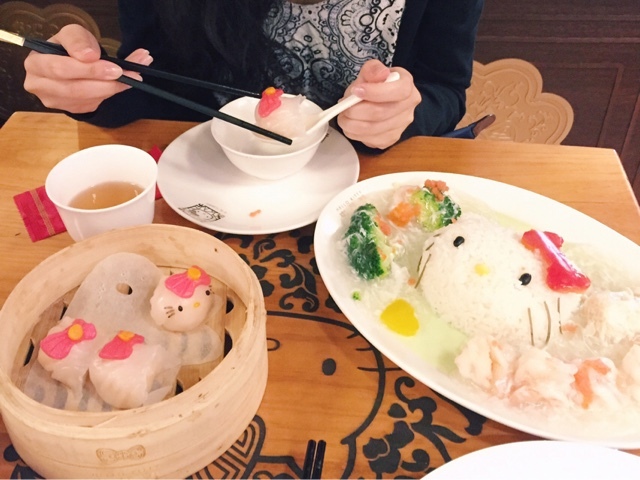 Had to pay Jordan's new Hello Kitty Chinese Cuisine a visit being the cat lady that I am. 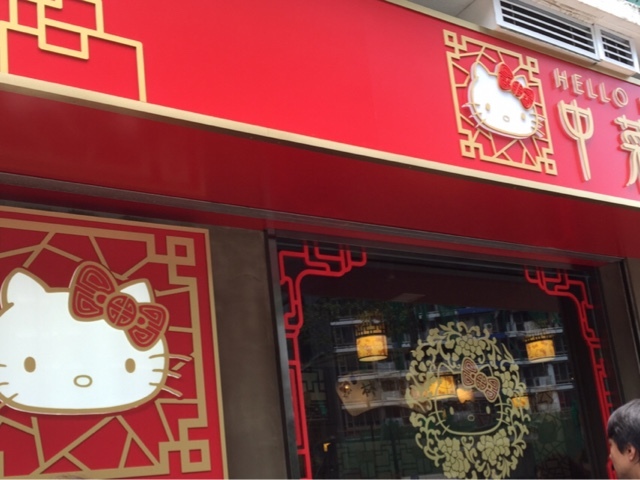 But oh wait, "Hello Kitty is not a cat". Michelle and I queued 40 minutes in the blazing sun, which actually isn't too bad because I know other people have waited at least 2 hours for a seat. The dinner queues are meant to be even longer, but I think in time, the queues and hype will die down. I also waited 3 hours before for the My Melody pop-up cafe in Langham Place, so in comparison, the 40 minutes was nothing. Shop front was too crowded to get a decent shot! Conclusion? Quite expensive for what it is; probably won't be going anytime soon just because I can't be bothered to queue again! 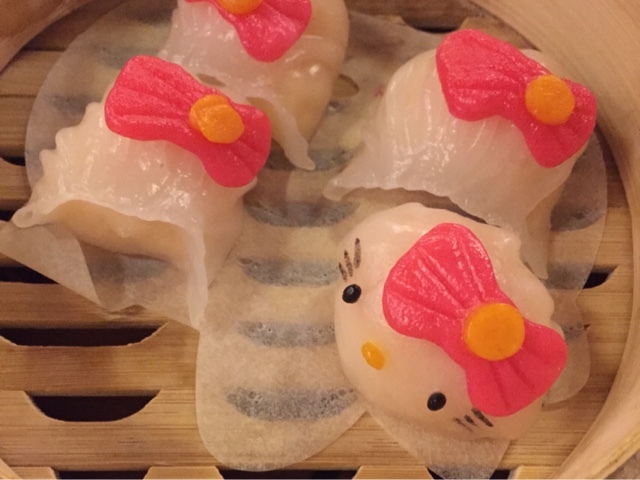 But the food was decent and the interior is very Instagram-worthy - Chinese lanterns with hanging bows, carved tables, pretty crockery, paintings of Hello Kitty looking like a little ancient Chinese princess and the cutest dim sums. Why is only one of the ha gaos a Hello Kitty?